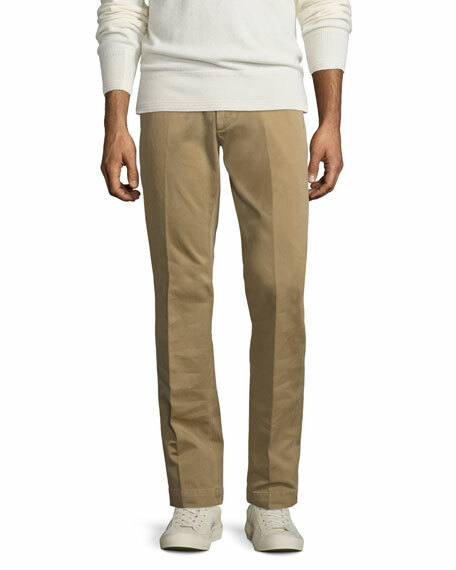 TOM FORD classic chinos in over-dyed left-hand serge. 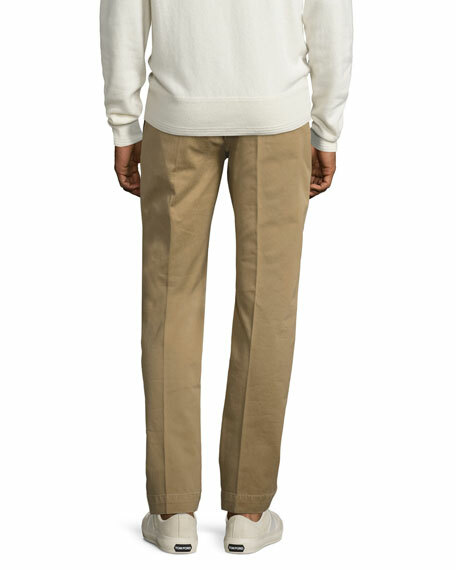 Regular-fit style with more room around hip and thigh; tapered leg. 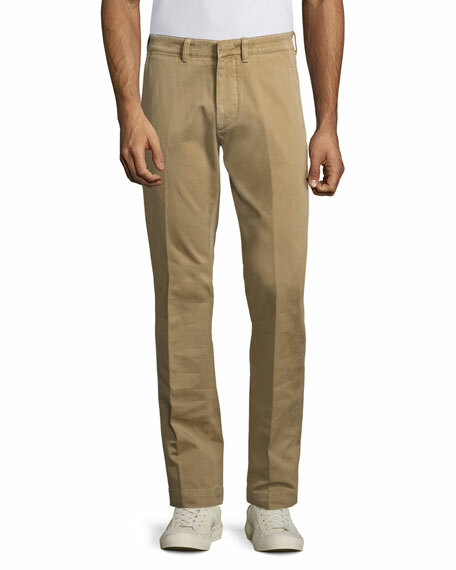 Sits lower on waist; slims below the knee. Concealed button/zip fly; belt loops. For in-store inquiries, use sku #2038393.